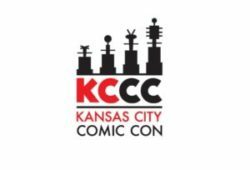 Once again, Kansas City’s Planet Comicon has come to a close. And once again, over 70,000 people took part in celebrating all things fantastic. The weekend kicked off Friday night with a performance of “An Evening With Kevin Smith.” Flight delays threatened to keep Smith away but he actually ensured his attendance by jumping on a Southwest Airline flight, the same airline that had deemed him “to fat to fly” in 2010. Smith had avoided the airline since but broke down to ensure his fans would not be disappointed. Among the celebrity guests in attendance: “I Dream of Jeannie” star Barbara Eden, Draco Malfoy himself, Tom Felton, “American Horror Story” star Denis O’Hare and Edward James Olmos from “Battlestar Galactica.” But the most love was reserved for famed comic book creator Stan Lee, who always seemed to have no less then 200 people lined up at any one time to meet him. MediaMikes would be remiss if we didn’t think Planet Comicon creator Chris Jackson and his amazing staff for not only their hard work but for the opportunity for some of our winners to win 3-day passes to the event. Can’t wait to do it again next year. There’s no place like home for the holidays. As in stay in yours, do not flock to theaters to see the horror anthology dubbed simply Holidays which is out there today. The anthology film boasts a familiar roster of horror directors—though arguably the ‘biggest’ name, Kevin Smith, offers only Tusk on his horror resumé…so take that how you will— who gather here to tell short stories from Valentine’s Day to New Year’s Eve in chronological order. Horror anthologies thrive on bringing a lot of different things to the table. Shorts can be shocking, funny, twisted, even confusing, but if there’s one thing they shouldn’t be, it’s boring. And for seven out of eight of these, I was just plain bored. When I called the entirety of what was going to happen in the opening short, “Valentine’s Day”, I immediately felt uneasy. Tethered to the order of the calendar year, it had to be their starting point, but it wasn’t a strong one. In short, a lovestruck-Carrie-looking outcast on a swim team is bullied by a blonde-haired Mean Girl. Commence the ten minute slog to her comeuppance. And this waiting occurs time and time again. Most egregiously in Father’s Day—a story, I admit I wholly forgot I sat through until I counted out the holidays and found I was short one. If it’s not waiting a full ten to fifteen minutes for a short’s singular predictable jump scare, it’s hitting the point of the story too fast and dragging it out. Kevin Smith’s “Halloween” is not only torturous to its main character—a Hollywood sleazebag getting what he deserves from a team of his webcam girls— but it brings the audience along with him. The ‘scheduling’ of the holidays also hampers the flow of the film. I guess putting them in calendar order makes sense on paper but then Christmas and New Year’s wind up sharing the same murderous psycho-female trope. Neither really shocks but viewed back to back, it’s also redundant. Similarly there’s two tales revolving around pregnancy-as-horror. Really? You have all the folklore of all the holidays and twice you come up with fertility problems? It’s as if the directors didn’t realize they were making an anthology until after the fact. Nicholas McCarthy’s “Easter”, the one in the eight that peaked my interest, offered a sick bit of creature humor in the form of the nocturnal Easter-Bunny-Jesus (complete with stigmata!) Unfortunately, we can’t follow that story down its rabbit hole and the inevitable holiday card blackout that cut off each story appeared to bring us back to the rest of the unpleasant lineup.